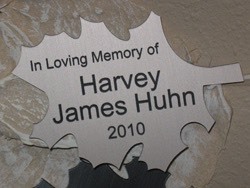 For lasting memorial gifts see forms and information for an engraved leaf on our memorial tree or a paver on the walkway. 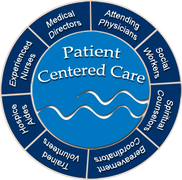 The donor wall was created by Tom Moberg from Des Moines and is a wonderful piece of art. 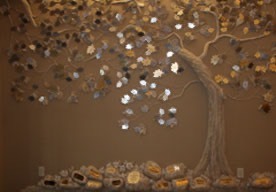 The donor tree commemorates donations of $1000 and up with names engraved in metallic leaves of varying color and size and the rocks at the bottom of the piece represent the foundation donors. Tom created the tree and the adjacent river scene in only 8 days and it makes a spectacular entrance into the Hospice Home. 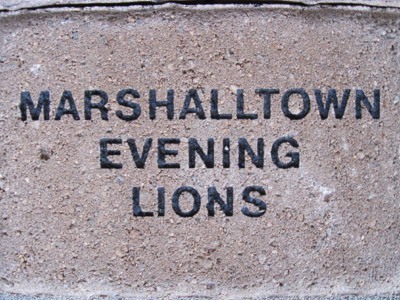 Our engraved pavers provide a memorial entrance into the Hospice Offices in the lower level of the Hospice Home. We will eventually have paved pathways throughout the property.